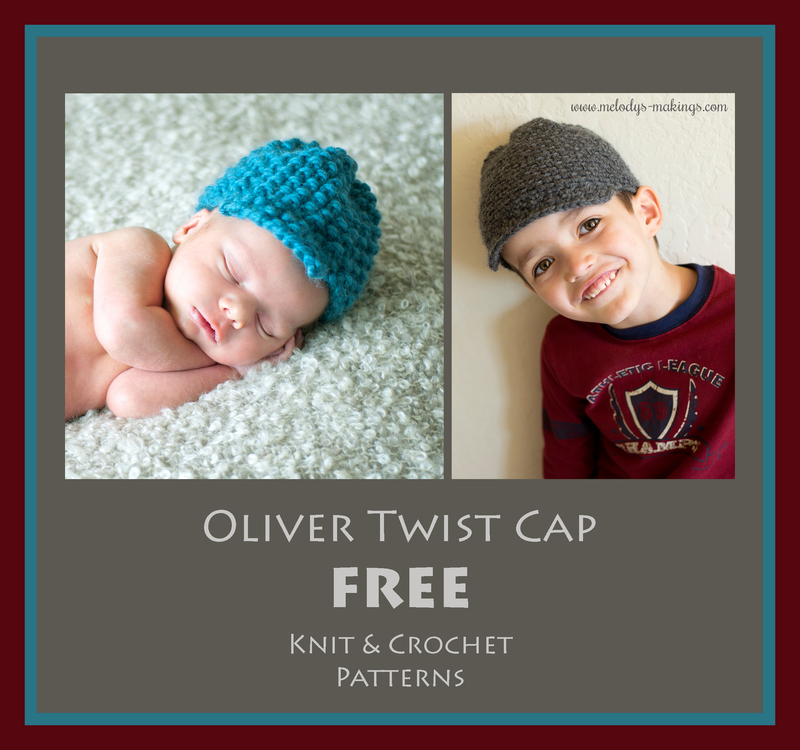 Oliver Twist Cap – Free Crochet & Knit Patterns! Oliver Twist Cap Free Knit & Crochet Patterns – Newsboy Style Cap! Who doesn’t love a super cute and quick to make knit or crochet cap!? The Oliver Twist Cap is really quick and easy. Designed to sit higher up on the head, and featuring a cute little brim, it’s a “Newsboy Hat” style cap with a wonderful texture! I’m retiring the knit version of this cute cap, and just wrote a brand new crochet version to accompany it. Both patterns are now free here on my blog. You’ll find the knit listing here. You’ll find the crochet listing here. Click here to download the knit version. Click here to download the crochet version. Thank you for the pattern. I really appreciate your blog. thanks so much for the cute little hat I will be making up these x 6 for my son and 5 grandsons definitely. I missed he deal on the sun hat the other day I got busy and when I finally got to your email I missed it but thats ok another time and I will be more inclined to make this for the boys anyway, I cant wait to see what you have next, I hope its the lumberjack!!!! TY for the free pattern and taking time out of your busy schedule. Melody thank you for making both versions available for this hat!! Charlie looks so cute modeling!! Thank you so much!!! Very cute!! I truly appreciate your sharing the pattern for the hat with those of us who crochet. That’s such a wonderful thing to do! Thank you so much! Love it! Thanks for sharing your pattern. Thank you. Just gave my GD an Oliver Twist doll I made, so now can make her a hat to match!